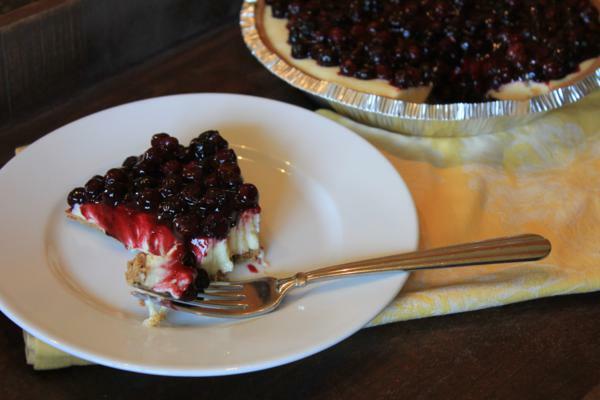 My mom has been making various versions of no bake cheesecakes for years. They are the dessert that I remember her making the most when I was a kid. Today I took one of her favorites, which is a lemon no bake cheesecake, and turned it into a no bake blueberry lemon cheesecake. One of the things that I love most about our garden is the blueberry plants. I call them my taste of Oregon in Oklahoma. They take a little bit of work to grow, but they are so worth it. I love fresh blueberries in the summer and I love freezing them for delicious blueberry treats all year long. 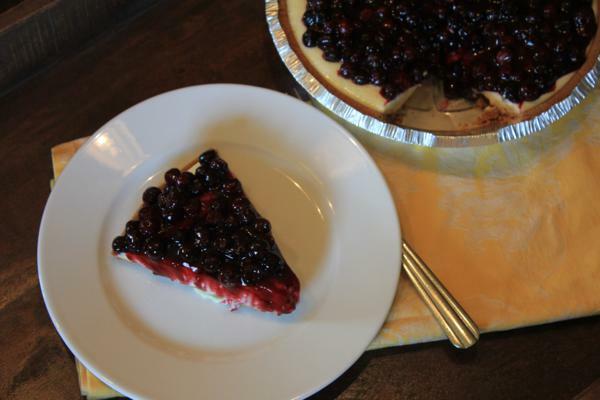 For this recipe I used some frozen blueberries that I had in the freezer from last year, but you could easily use fresh ones as well. If you don’t have blueberries, or don’t want to make your own sauce, just use a can of blueberry pie filling. It will work also. No bake cheesecake is perfect for summer because no oven is required. 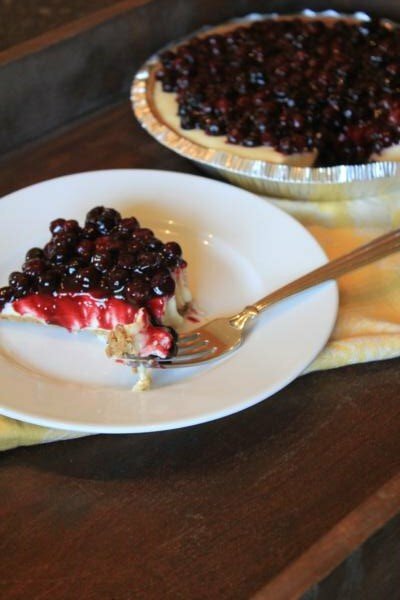 It is also easy to make gluten free by just leaving off the crust and serving it as a crustless cheesecake. 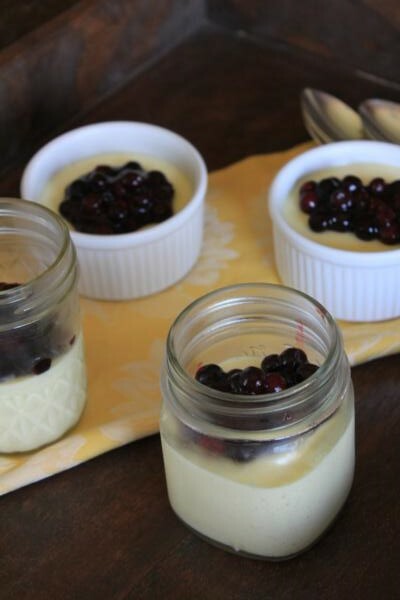 I love making desserts like this crustless in little jars or dishes for those that eat gluten free. And now I want a piece of cheesecake! 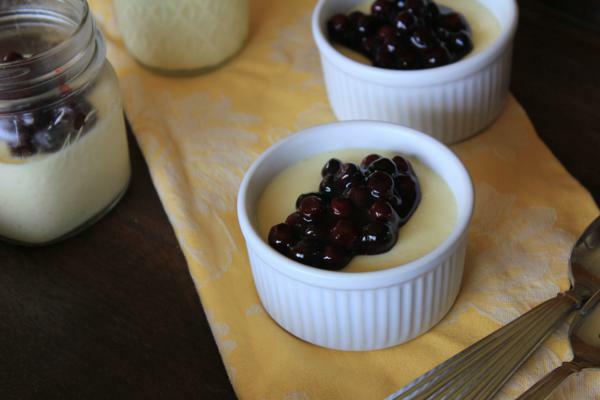 A simple summer dessert that is easy to make and is delicious! 1- 12 ounce can evaporated milk that has been chilled. Do not skip this step it needs to be cold. Dissolve jello in boiling water. Let cool to room temperature. When jello is cooled pour it into a blender. Add cream cheese, sugar, and chilled evaporated milk. Blend until smooth. While cheesecake is chilling place ingredients for blueberry topping in a saucepan. Heat over medium heat until blueberries soften and create a sauce. This takes about 8-10 minutes. Stir often while they are cooking and turn down heat to medium low if needed. Let cool completely and spread over cheesecake. Sounds easy and delicious, but was wondering. Does this make two pies? It says 2 crusts in the ingredients. Yes it makes 2 pies. Sorry if that wasn’t clear in the directions. I hope you enjoy it! Can it be made without Jello?